Rezgar Mamandi’s Manna Pottery is a reflection of the timeless power of good design. Each sculptural or functional piece is a reproduction of 7th century originals from an ancient civilization. This Sugarloaf artist really takes his vision back to his roots. In Rabat, his small hometown of in northwest corner of Kurdistan, Iran, Rezgar grew up surrounded by ancient artifacts dating back to 7th century Mannea civilization. While he draws inspiration from all over the world, influence from the civilization’s artifacts found in archeological sites runs through everything Rezgar creates. 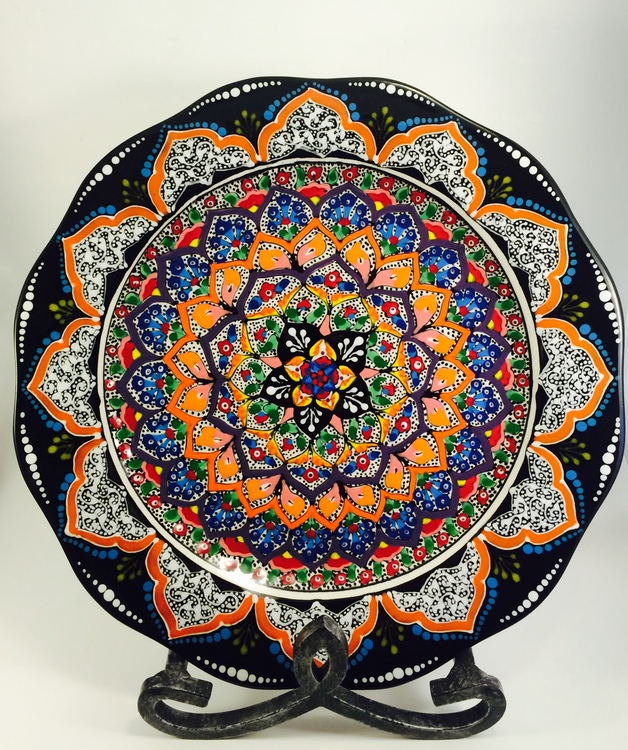 Plates, trays, vases, jars, decorative tiles, cups and more become a unique kaleidoscope of colorful mandalas and floral patterns. Each piece is one-of-a-kind made using lead-free, high-fire oxidation glaze and colors. All dinnerware is microwave, dishwasher and oven safe.